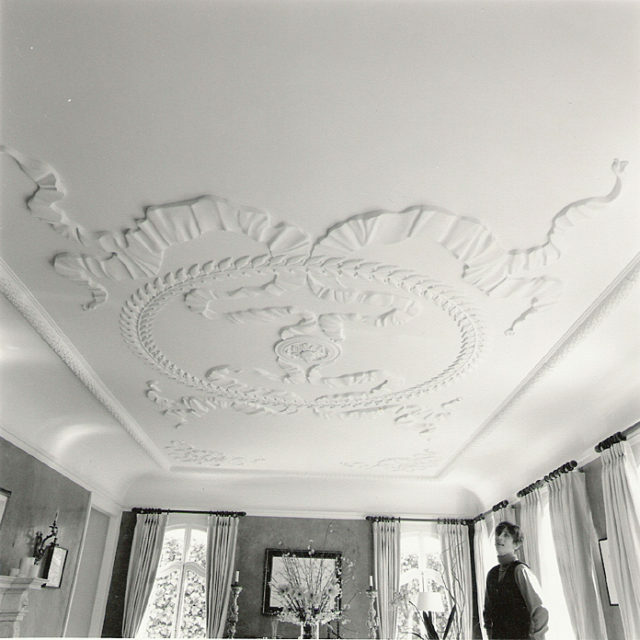 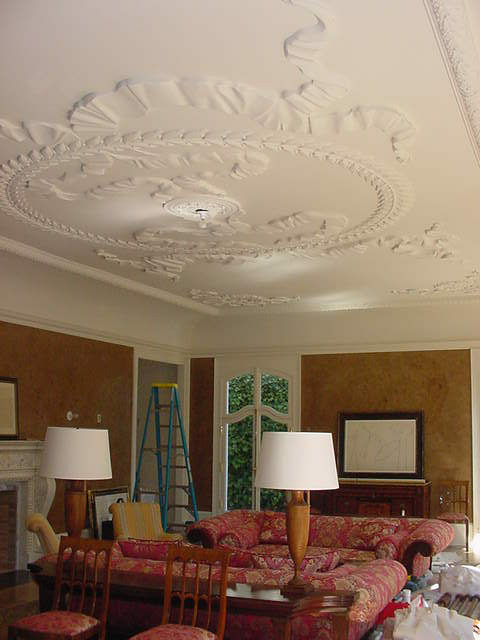 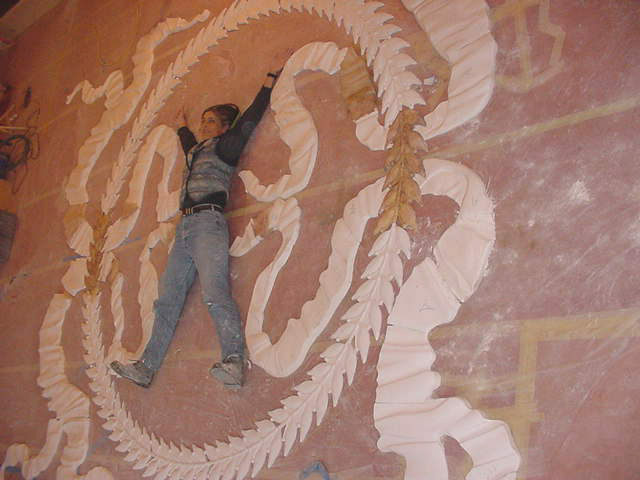 This custom ceiling was sculpted from a drawing provided by the architect. 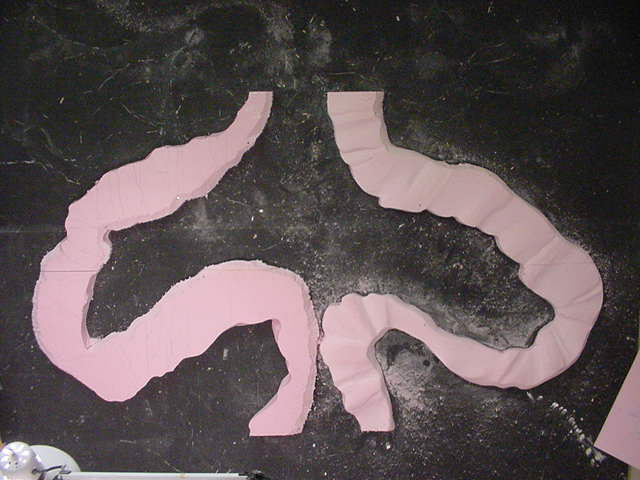 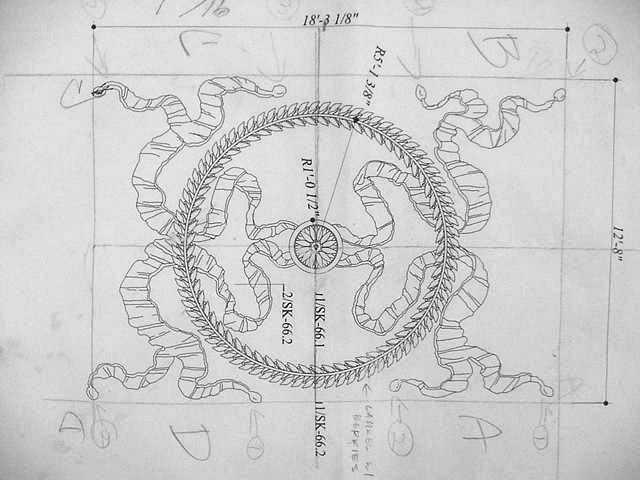 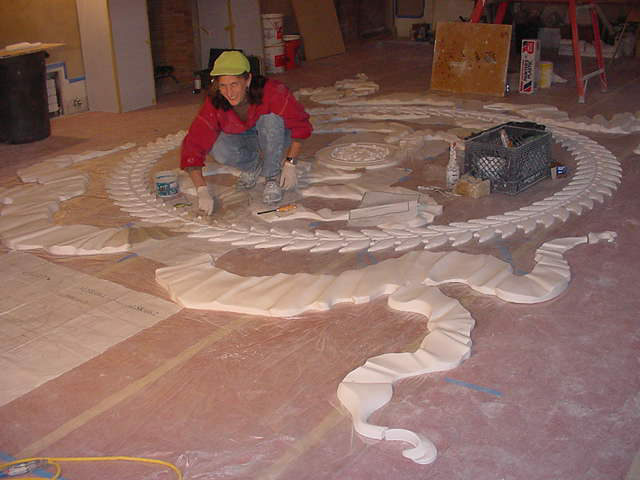 The original ribbons were sculpted from polystyrene foam, cast in plaster, and adhered to the ceiling. 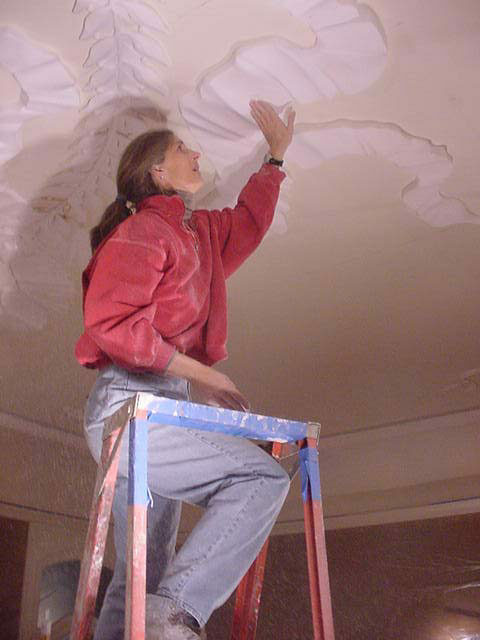 The perimeter of the room is approximately 18 feet by 13 feet.